You are here :Home » News » News 2017 » The long-awaited “Bigfoot Junior” is finally here ! On Tuesday July 26th, White Cinema hosted the big Belgian premiere of nWave’s latest feature film Bigfoot Junior. Guests were able to dive directly into the universe of the movie by discovering a fully decorated reception hall. The dense forest Adam Harrison explores in search of his father Bigfoot was recreated for the occasion and ignited the anticipation of everyone gathered. 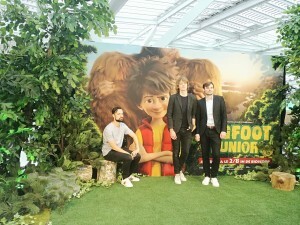 The exclusive screening of “Bigfoot Junior” was followed by a Puggy concert. The belgian band was contacted by directors Ben Stassen and Jérémie Degruson, and asked to score the entirety of the full length animated film. “Being familiar with their films and thinking highly of them, we were quite flattered to have been asked to meet with them. We’d had our songs appear in a few films and had written a few original pieces for others, but nothing on this scale. Watching the film today, we feel very proud of what we accomplished.” – Matthew, Puggy. Browse the whole gallery here. 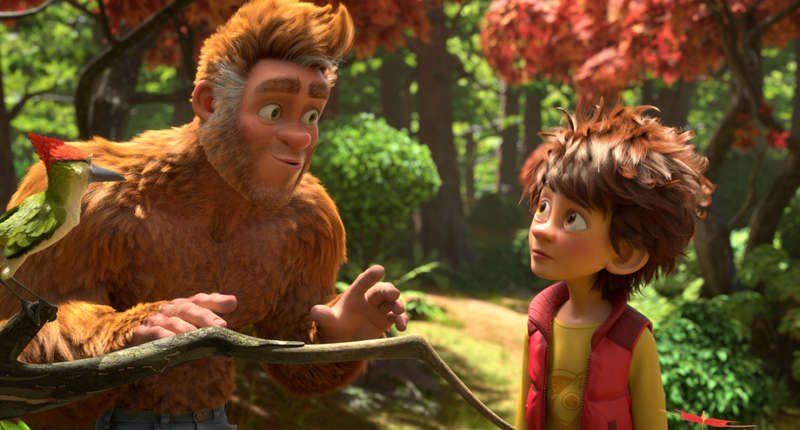 Although the movie is already in theaters in several countries, Bigfoot Junior is released today in cinemas all across Belgium, home of nWave’s headquarters. This release coincides with that of the movie’s soundtrack, fully scored by Puggy. The album and its single “Simple Feelings” is now available on all streaming devices. About nWave Pictures: nWave Pictures is a market leader in the distribution of high quality and innovative 4D/3D attraction films, 3D/2D ride simulation films and 3D/2D educational documentaries for giant-screen theaters and digital 3D cinemas. The company specializes in producing and distributing compelling content for location-based entertainment sites and institutional venues, including the recent Colossus Productions giant screen hit “Galapagos 3D: Nature’s Wonderland”. 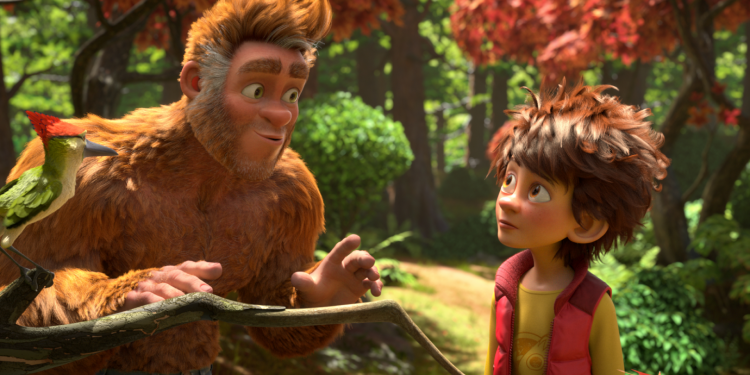 nWave’s award-winning digital animation studio launched its first feature-length film, “Fly Me to the Moon” in 2008, and is releasing its sixth animated feature, “The Son Of Bigfoot” (“Bigfoot Junior”) in Fall 2017. nWave Studios is headquartered in Brussels (Belgium) with North American sales offices in Burbank (California) and Port Orange (Florida).